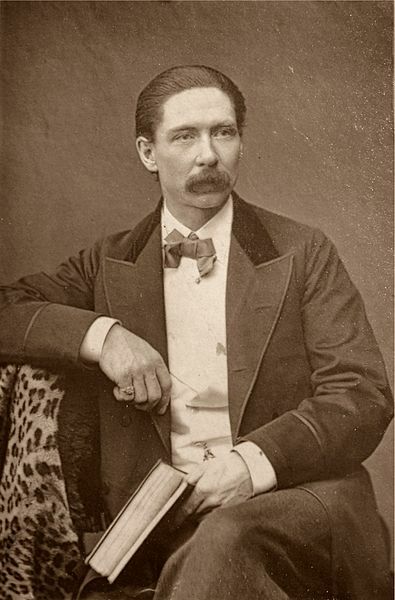 Maskelyne was an English stage magician. He invented the first modern pay toilet in the late 19th century. His door lock for London toilets required the insertion of a penny coin to operate it, hence the euphemism to "spend a penny". Born in Cheltenham, Gloucestershire, England. He trained as a watchmaker but later became interested in conjuring. Maskelyne became a member of The Magic Circle and, like Harry Houdini, used his skills to dispel the notion of supernatural powers. The Maskelyne was the first typewriter to be manufactured in Britain. It was produced by the Maskelyne British Typewriter and Manufacturing Company Ltd of London from 1889, two years before a patent was issued. In 1894, Maskelyne wrote the book Sharps and Flats: A Complete Revelation of the Secrets of Cheating at Games of Chance and Skill. This book became an instant hit and to this day is considered to be a classic gambling book.